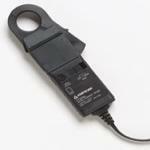 Product Description: This current transformer probe measures AC or DC current. It converts high current to a low level millivolt signal for input directly into a test instrument. It can be used with standard DMMs, recorders, digital or analog meters, data loggers/DAS, oscilloscopes, or other test and measurement instruments.